Looking for some breakfast inspiration? 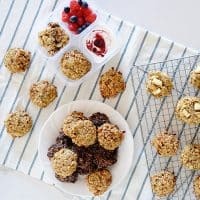 Trying to get your kids out of a bowl of cereal rut and out the door? Mornings can be a busy time of the day. 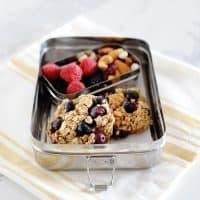 As moms, we want to send our kids into the day with bellies full of good food to power their bodies and brains through the morning, but breakfast can often be an obstacle to getting out the door. 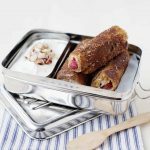 These french toast roll ups can be prepped ahead of time, and frozen. When you are ready to use, pull out the roll ups, dip them in egg wash and cook in a skillet. Finish them off with a sprinkle of cinnamon sugar and you’ll have a warm breakfast to go that your kids will love! On a flat surface, flatten sandwich bread with a rolling pin. Spread 1 1/2 teaspoons of cream cheese onto each slice of bread. Place 1 tablespoon of diced strawberries along the edge of each piece of bread. Carefully, roll up bread tightly. In a shallow dish, beat eggs, milk and vanilla. Dip each bread roll in the egg mixture and place 3-4 of them in a butter greased skillet, over medium heat, seam down. Cook 3 minutes or until golden brown and flip. Cook other side for an additional 1-2 minutes and remove from pan. In a shallow dish, combine sugar and cinnamon. 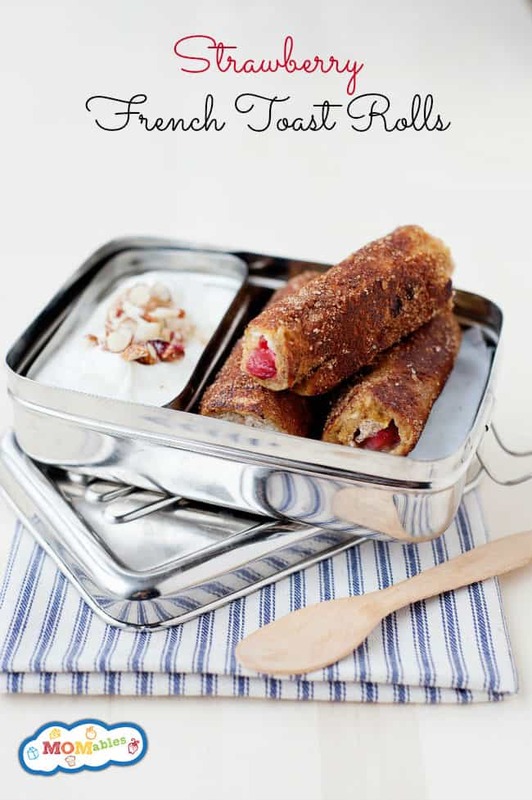 As french toast rolls come out of the pan, lightly dust with cinnamon sugar and serve. Could these be dipped in the egg ,cooked and frozen? I don’t see why you an’t freeze them once cooked. All you’d have to do is take them out to thaw and heat up. Enjoy! Just made a batch of these for tomorrow’s breakfast. I tasted one and they are really good . now we’ll see what my 3.5 and 16 month old think! Thanks for sharing! Success! Two out of three children loved these. Thank you for all of your great recipes! They definitely help me to get out of the same old rut. Have you tried these with any kind of gluten free bread? I tried some the otherdayand the bread literally crumbled. My daughter has been asking for these (I was sending these in her lunchbox before weren’t gluten free)…but we just went gluten free for the whole house to cut down on cross contamination for the 3 celiacs in our family, so I was just wondering if you’ve had success with any gf bread. If so, what kind did you use? Thanks. I have. They work with Canyon Bakery breads well. Udi’s and Rudi’s are too “stiff” to roll. What is on the other side in the box? yogurt? Do I need to let them defrost at all when I pull them out? Or just dip them frozen?